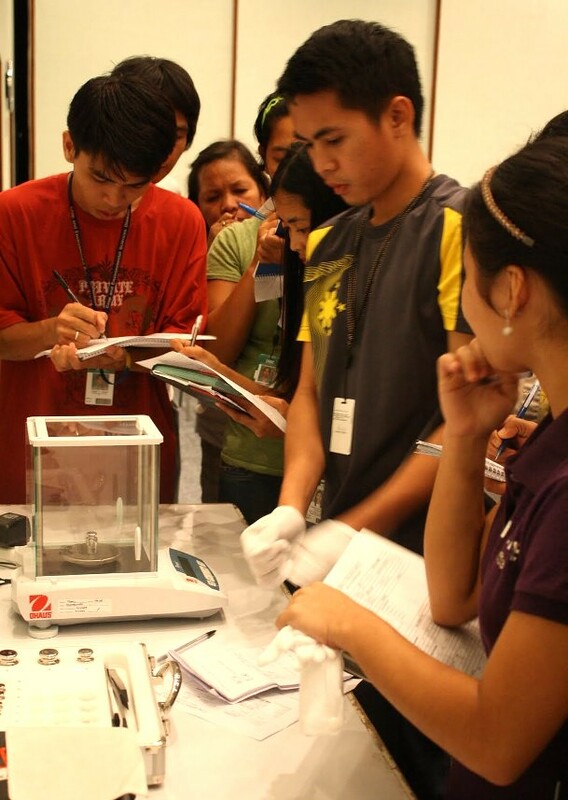 An institute-wide calibration of weighing scales is ongoing at IRRI on 27 November-7 December, as an initiative of IRRI's Risk Management and Quality Assurance team. One hundred fourteen units from research, including analytical, top-loading, and bench scales will be calibrated by ISO 17025-accredited Metrologie Concepts Solutions. A calibration certificate is provided for each unit. A scale is only as good as its ability to provide accurate measurements. In laboratories, weighing scales are workhorses and accuracy of measurement changes in time, due to wear and tear. Their proper handling and maintenance are thus very important. The RMQA ensures that third party calibrations are performed regularly. The last one was made in 2009-10. My think is Laboratory weighing scale is small. Its using for liquid.